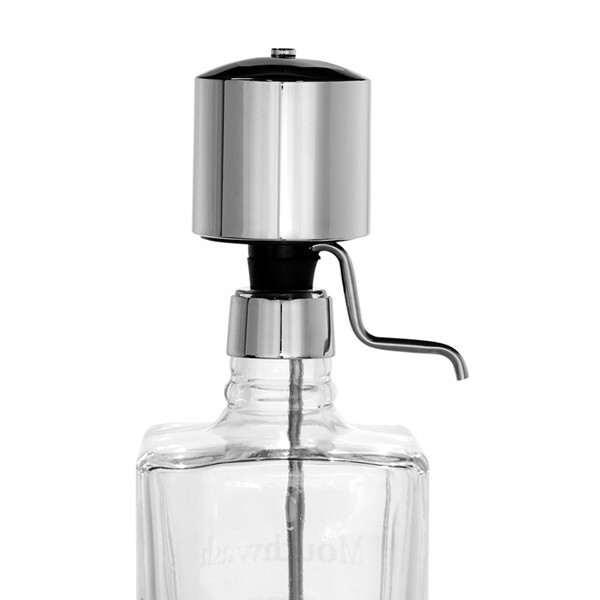 This Pump is for The Perfect Measure Mouthwash (vertical/horizontal) decanter dispenser. This is a replacement chrome pump and is sold without the decanter. The pump comes with a chrome collar.